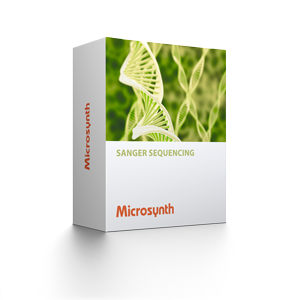 Innovative new Sanger sequencing service in 96-well plates for plasmids. Drop your E. coli colonies into a Microsynth drop box, receive your result the next day* before 2 pm and accelerate your research by one day. Not limited to E. coli. Expanding list of possible organisms. The Ecoli NightSeq service is also available in the single tube format. Do I have to add antibiotics to the liquid? No, an antibiotic is not necessary. Do I really have to pick from a colony that is at least 1 mm in diameter? The colony may be a bit smaller, but it must be clearly visible. I want to inoculate the Ecoli NightSeq® tubes and streak out on an agar plate with the same toothpick. What should I do first: inoculate the ENS tube or streak out my agar plate? Does ENS work for low copy plasmids as well? I do not work with agar plates, but with liquid culture. Can I also inoculate the ENS Tubes with liquid culture? Yes, please add 5 µl. For how long does Microsynth store my ENS samples? Does the Ecoli NightSeq® also work for other organisms? The Ecoli NightSeq® is not limited to E. coli. We are constantly expanding our list of possible organisms (mostly gram negative bacteria). Ask us if your organism also works. How long can I store the unused tubes with liquid? Under what conditions do I have to store them? On the plastic bag there is a sticker with information about the expiry date (1 year) and the storage temperature (4° C for single tubes, -20 ° C for plates). I would like to pick a clone and do a forward and a reverse reaction on it. Is that possible? Yes, but you must use 2 barcoded tubes. The procedure is as follows: Inoculate one tube and mix and divide the fluids of both tubes. What you should not do: Inoculate one tube and then inoculate the other tube with the same toothpick, because then you have an unequal cell density. I do not have a Microsynth drop box in my vicinity, may I also mail it, even if it stays over the weekend? Yes. We have tested a correspondingly long storage at room temperature and it doesn’t harm the sample. Do I receive the results on Saturday, when I drop the samples on Friday into the drop box? No, only on Monday before 2 pm. How should I send / label the sequencing primer? The same way as with our other types of services. Concentration 10 µM, at least 20 µl volume and write the name of the primer on the tube. What do I need to consider when shipping living GMOs to Microsynth Seqlab? Genetically modified microorganisms (GMOs) that do not meet the definition of toxic or infectious substances, but are able to modify animals, plants or microbial substances in a way that does not normally result from natural reproduction, do belong to Class 9 and shall be assigned to UN3245 and shipped in accordance with Packing Instruction P904. In short, this means the samples must be packed in an inner, a secondary and an outer packaging. The inner packaging comprises of a leakproof primary receptacle and an absorbent material placed between the primary receptacle and the secondary packaging (e.g. plastic bag). The outer packaging shall be strong enough for its capacity, mass and intended use and shall have a minimum outer dimension of at least 100 mm. Further information can be found at https://adrbook.com/en/2017/Sutun/8/P904. If GMOs cannot be assigned to UN3245/class 9 (which is true for most E. coli laboratory strains and vectors), they are not subject to dangerous goods regulations. GMOs are not subject to the dangerous goods regulations if they are approved for use by the competent authorities of the countries of origin, transit and destination. Detailed product information on the Ecoli NightSeq. User guide on how to use our Ecoli NightSeq.